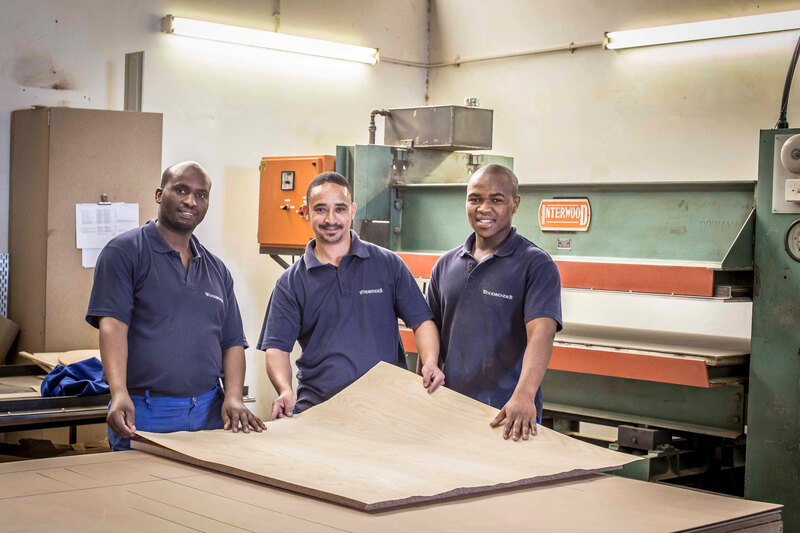 Woodbender has been making and veneering our own table tops since 2011. 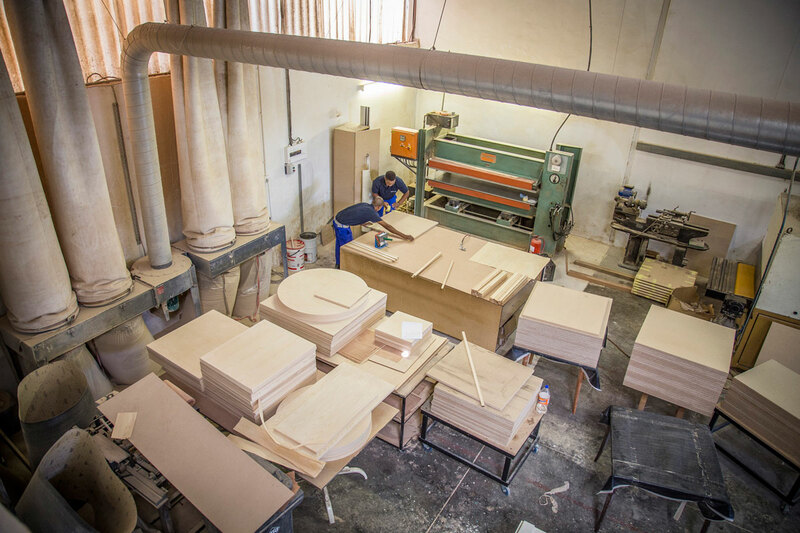 Fully equipped with the necessary veneer pressing machinery, this department has grown and currently employs four skilled craftsmen in the veneering department. 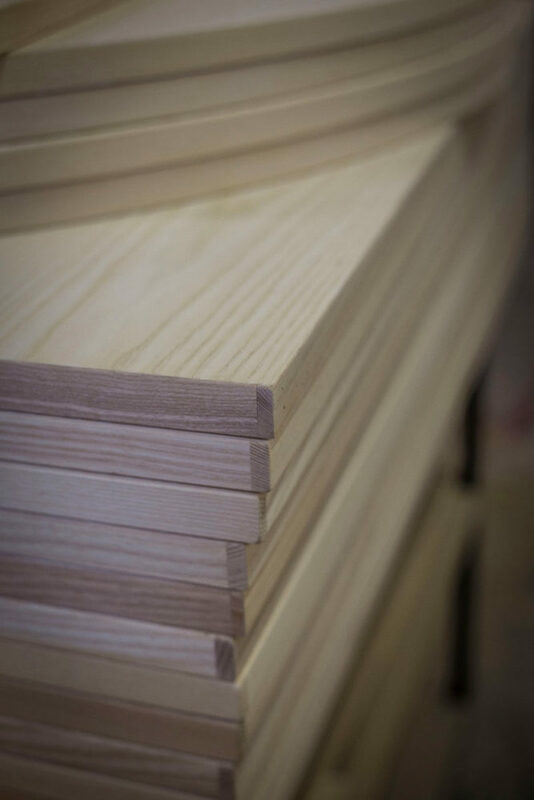 Our tops are made from chipboard which is edged with solid Ash timber which is over veneered with Ash veneer on the top and Ikaya veneer on the bottom. 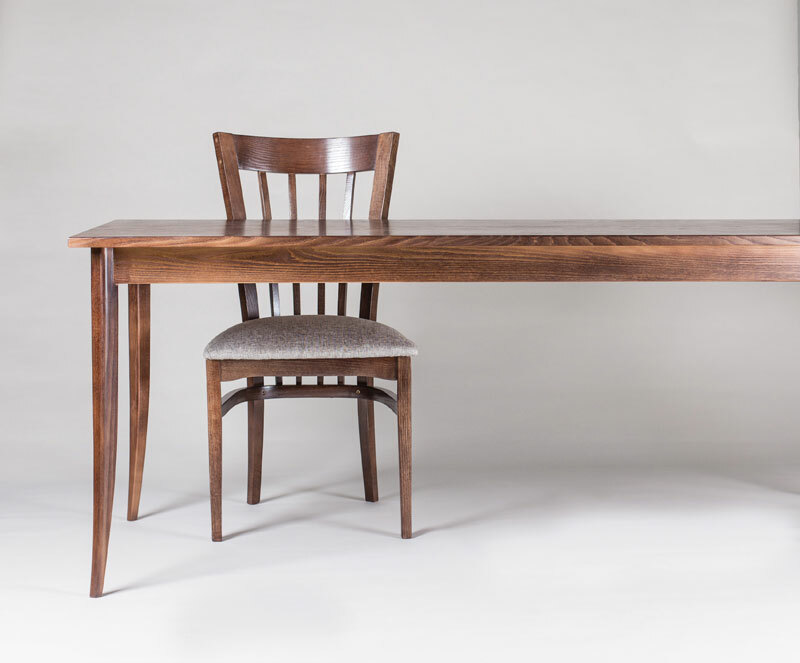 Veneered table tops and wide wood surfaces are preferable to solid wood as it is very stable under varying climate conditions and does not crack or warp. 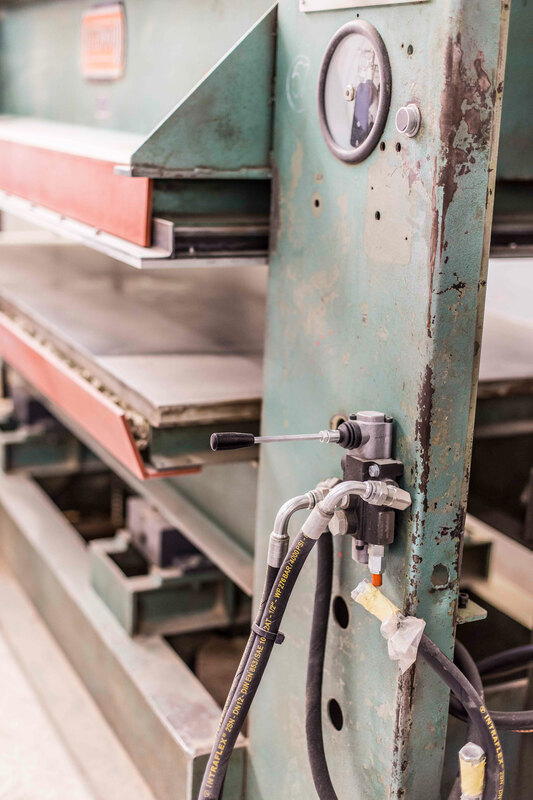 This coupled with modern lacquer finishes, durability and strength of working surface is guaranteed. 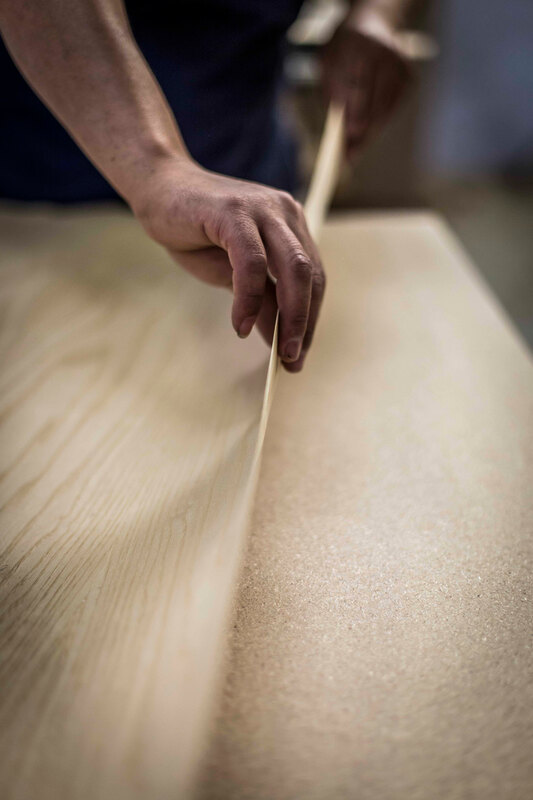 Woodbender’s plywood chair ply wood components are also veneered with Ash veneer, before they are set in the machine press to bend the required component part. 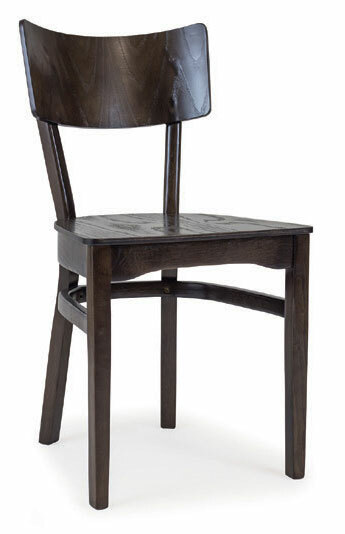 Chair seats and back rests are veneered to match the solid Ash frame of the chair.